Matthew Apgar - mapgar@shawmedia.com Kings hockey playerJaret Pernice, right, practices on the ice with teammates on Thursday, March 03, 2016 at Crystal Ice House in Crystal Lake. The team is listed at the No. 6 team in the state, heading into the Blackhawk Cup. Matthew Apgar - mapgar@shawmedia.com Kings hockey playerJeremy Quast, right, takes a shot on goalie AJ Oleksy during practice on Thursday, March 03, 2016 at Crystal Ice House in Crystal Lake. The team is listed at the No. 6 team in the state, heading into the Blackhawk Cup. Matthew Apgar - mapgar@shawmedia.com Kings hockey player Scott Pfaff talks with a teammate during practice on Thursday, March 03, 2016 at Crystal Ice House in Crystal Lake. The team is listed at the No. 6 team in the state, heading into the Blackhawk Cup. 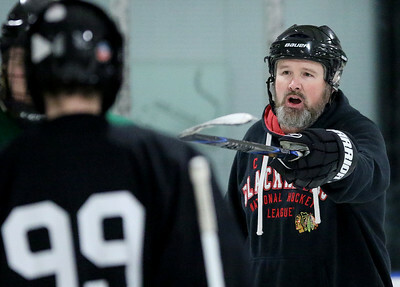 Matthew Apgar - mapgar@shawmedia.com Kings hockey assistant coach Scott Keeney talks to the team during practice on the ice on Thursday, March 03, 2016 at Crystal Ice House in Crystal Lake. The team is listed at the No. 6 team in the state, heading into the Blackhawk Cup. Matthew Apgar - mapgar@shawmedia.com Kings hockey players Jaret Pernice, back left, talks with Jimmy Giuliano, back right, during practice on the ice on Thursday, March 03, 2016 at Crystal Ice House in Crystal Lake. The team is listed at the No. 6 team in the state, heading into the Blackhawk Cup. 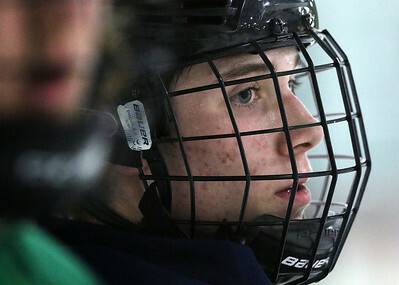 Matthew Apgar - mapgar@shawmedia.com Kings hockey players check their drills during practice on the ice on Thursday, March 03, 2016 at Crystal Ice House in Crystal Lake. The team is listed at the No. 6 team in the state, heading into the Blackhawk Cup. Matthew Apgar - mapgar@shawmedia.com Kings goalie AJ Oleksy, left, defends against an advancing Jack Hanchett during practice on the ice on Thursday, March 03, 2016 at Crystal Ice House in Crystal Lake. The team is listed at the No. 6 team in the state, heading into the Blackhawk Cup. Matthew Apgar - mapgar@shawmedia.com Kings assistant hockey coach Scott Keeney talks with the team during practice on Thursday, March 03, 2016 at Crystal Ice House in Crystal Lake. The team is listed at the No. 6 team in the state, heading into the Blackhawk Cup. 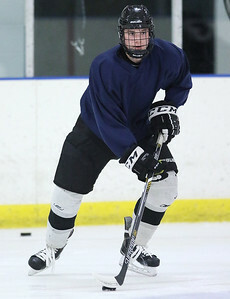 Matthew Apgar - mapgar@shawmedia.com Kings hockey players practice on the ice on Thursday, March 03, 2016 at Crystal Ice House in Crystal Lake. The team is listed at the No. 6 team in the state, heading into the Blackhawk Cup. Matthew Apgar - mapgar@shawmedia.com Kings hockey player Scott Pfaff watches the action on the ice with a teammate during practice on Thursday, March 03, 2016 at Crystal Ice House in Crystal Lake. The team is listed at the No. 6 team in the state, heading into the Blackhawk Cup. 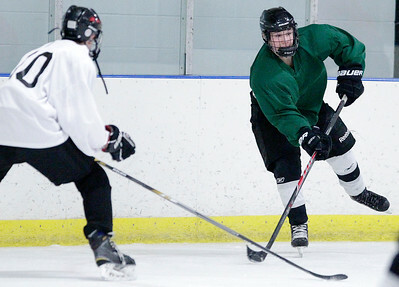 Matthew Apgar - mapgar@shawmedia.com Kings hockey players Scott James, left, and Jeremy Quast practice on the ice on Thursday, March 03, 2016 at Crystal Ice House in Crystal Lake. The team is listed at the No. 6 team in the state, heading into the Blackhawk Cup. Matthew Apgar - mapgar@shawmedia.com Kings hockey player Scott Pfaff practices on the ice on Thursday, March 03, 2016 at Crystal Ice House in Crystal Lake. The team is listed at the No. 6 team in the state, heading into the Blackhawk Cup. 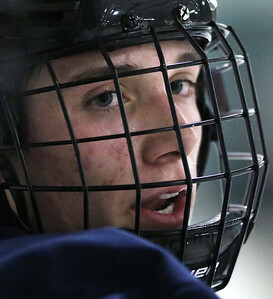 Matthew Apgar - mapgar@shawmedia.com Pucks sit on the ice on Thursday, March 03, 2016 at Crystal Ice House in Crystal Lake. The team is listed at the No. 6 team in the state, heading into the Blackhawk Cup. 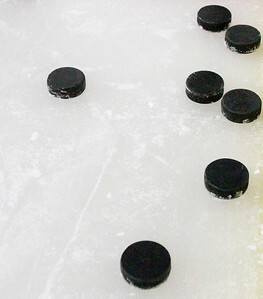 Pucks sit on the ice on Thursday, March 03, 2016 at Crystal Ice House in Crystal Lake. The team is listed at the No. 6 team in the state, heading into the Blackhawk Cup.